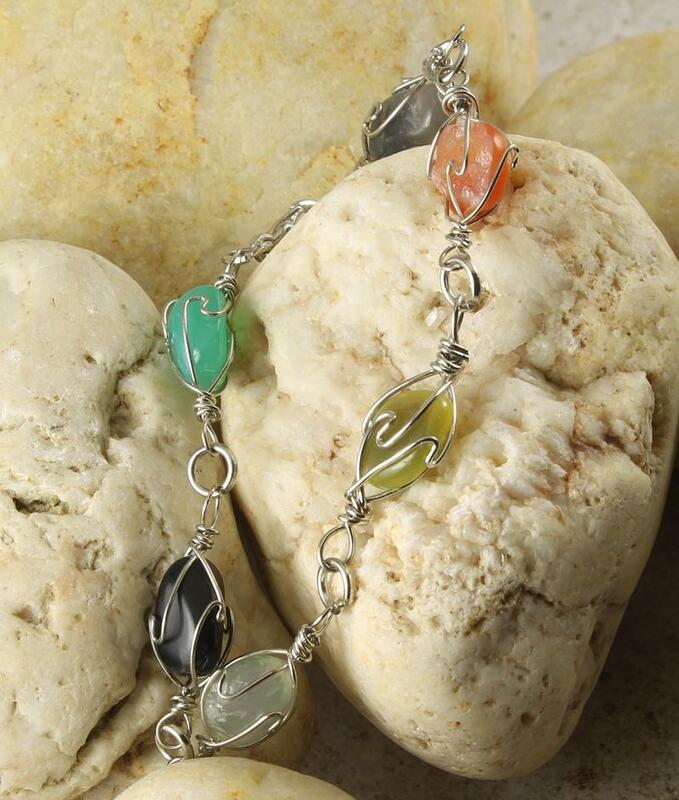 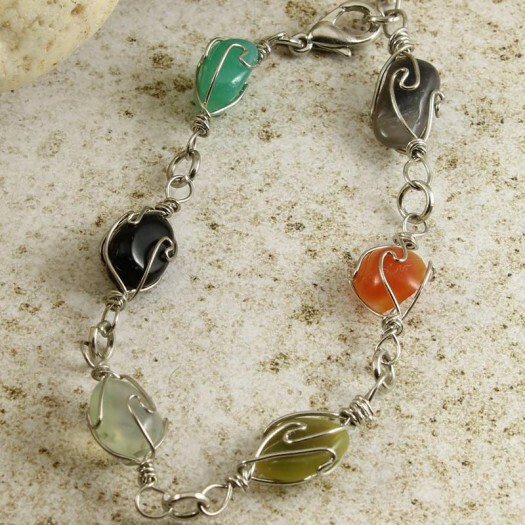 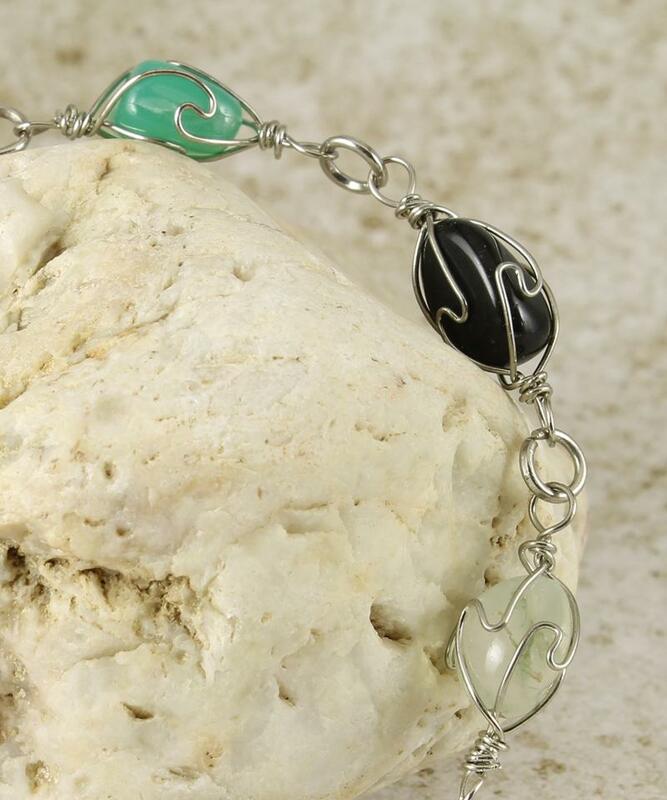 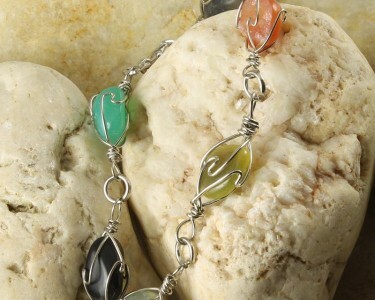 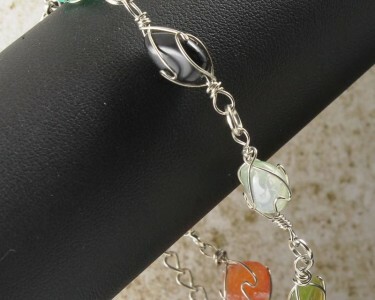 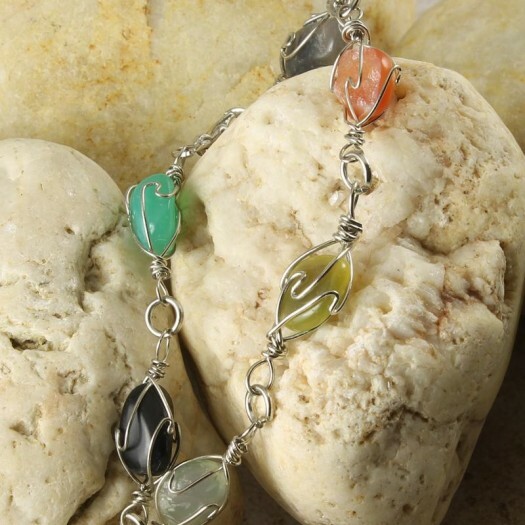 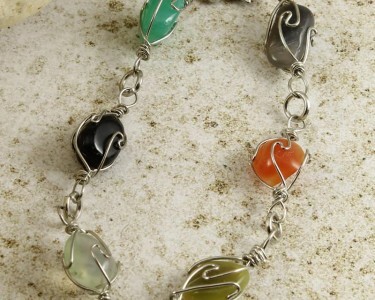 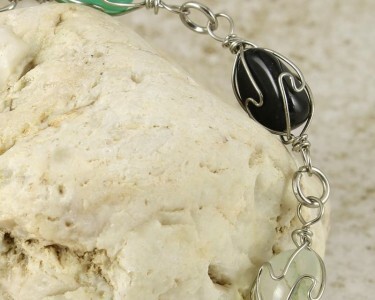 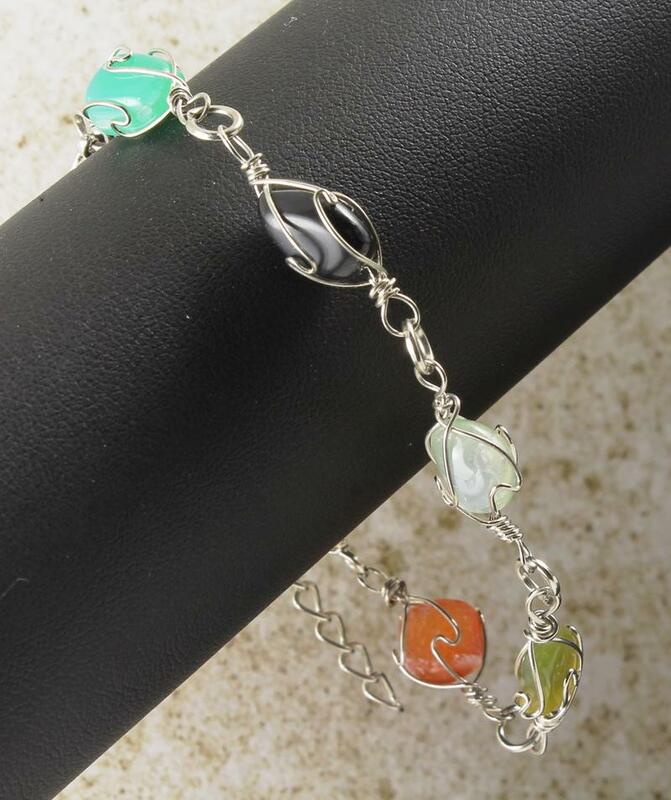 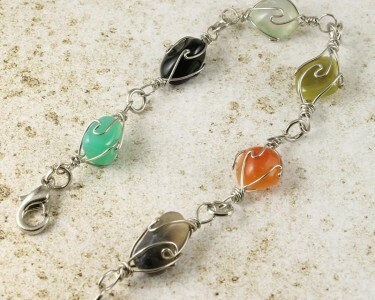 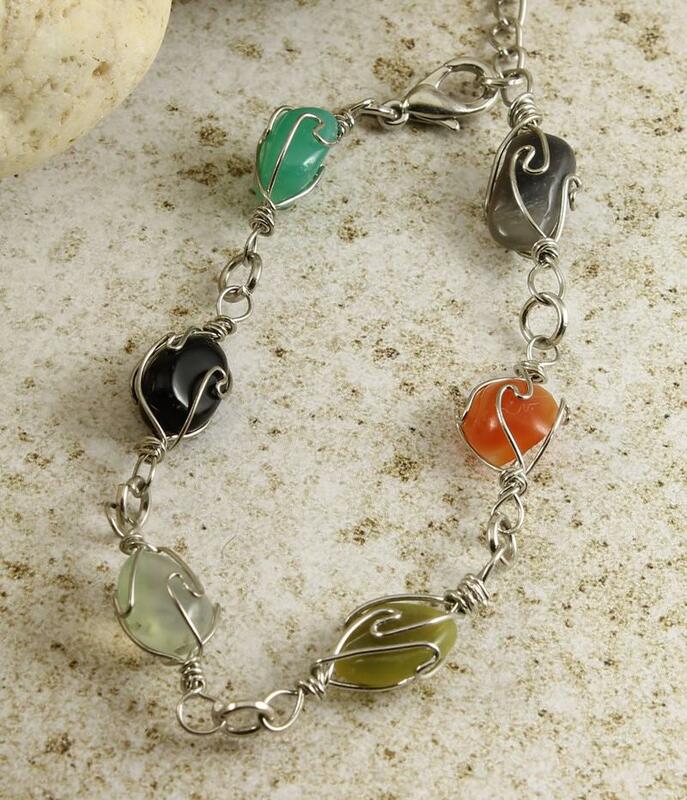 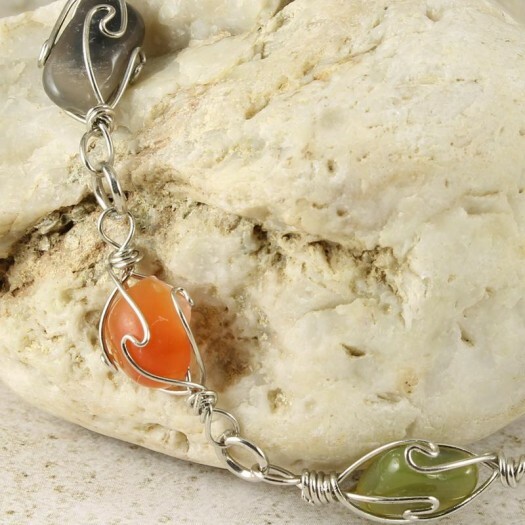 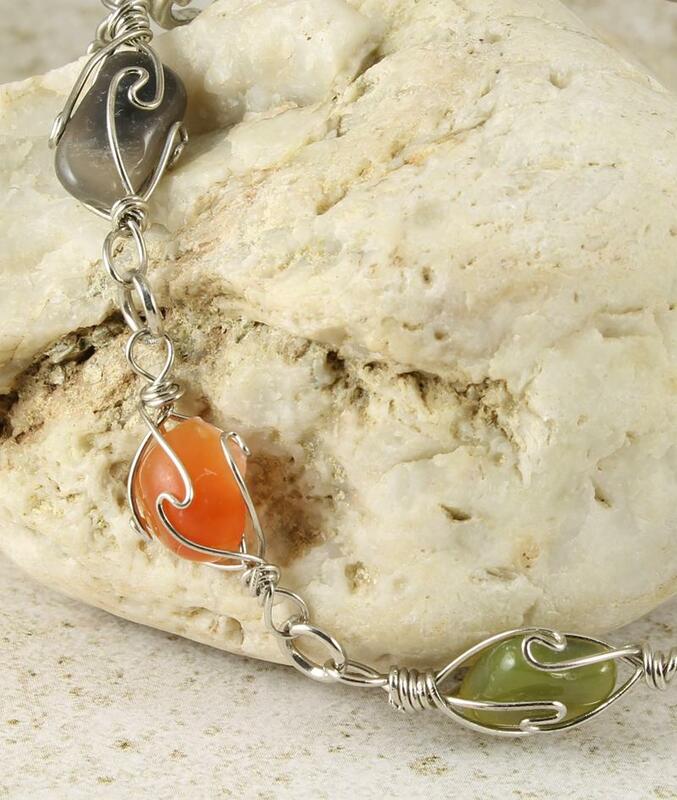 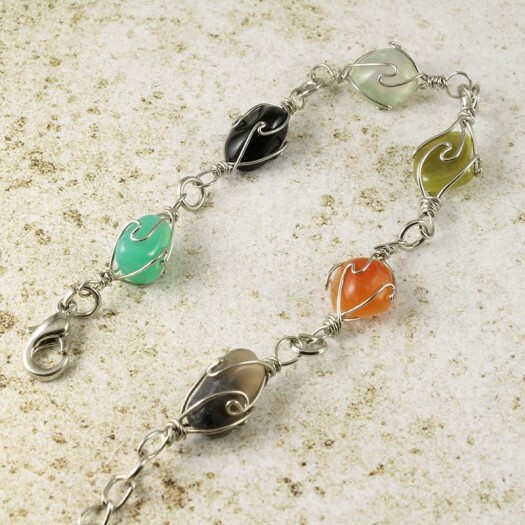 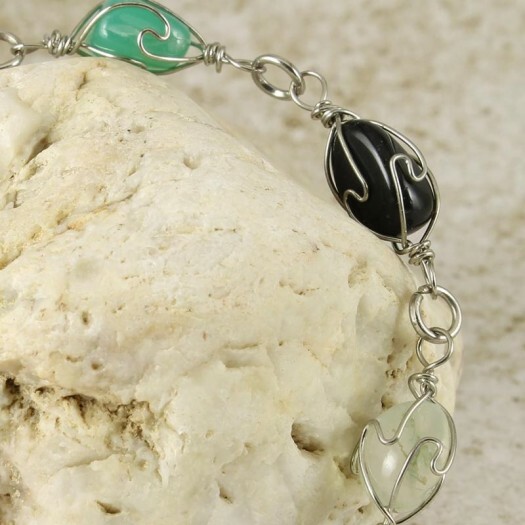 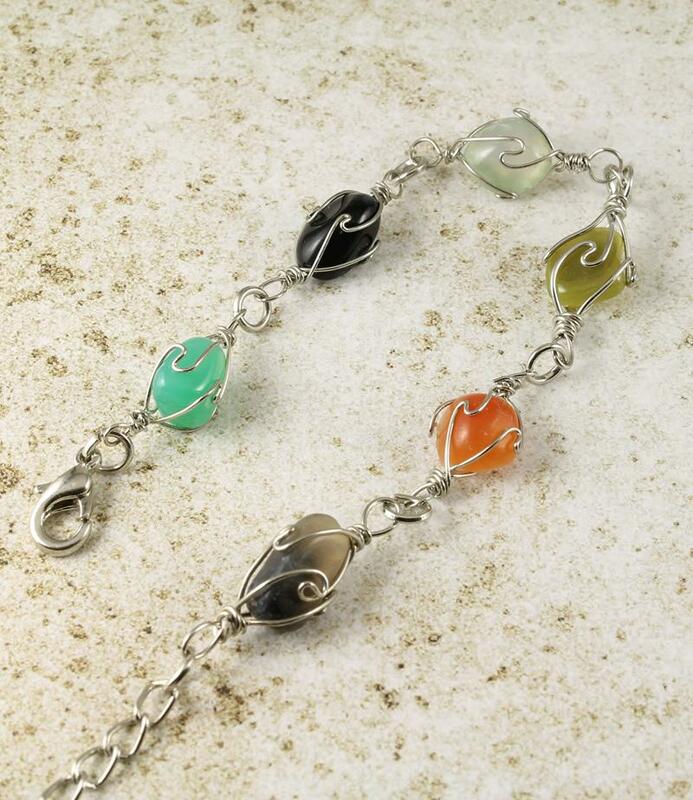 Green and grey colours are contrasted with brown in this attractive, intricately-crafted, wire-wrapped polished Agate gemstone bracelet. 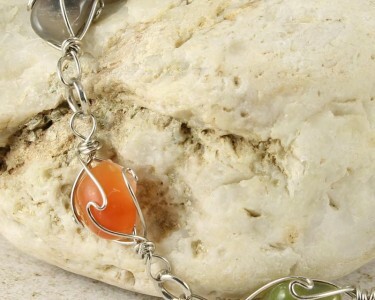 Fastened with a lobster clasp with extender chain. 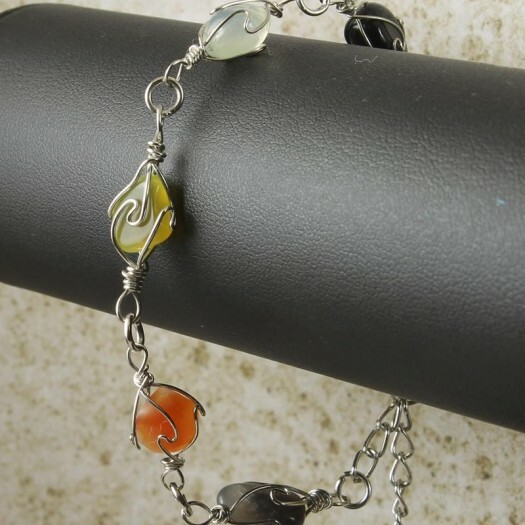 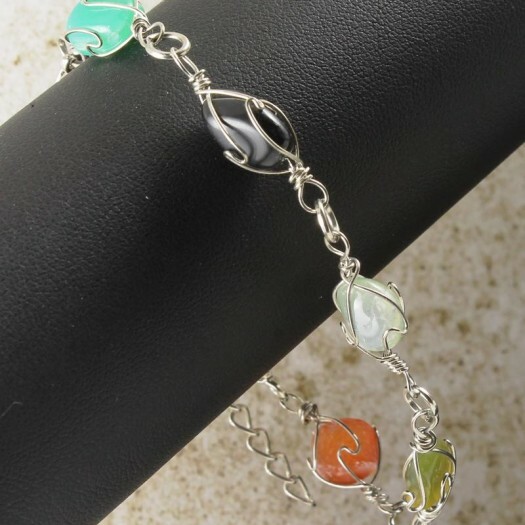 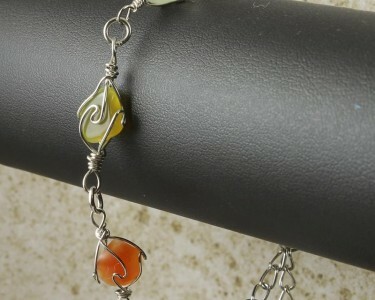 Wear It With : An affordable, gracefully-crafted bracelet with tasteful colour-mixing that will forever furnish you with an admiring audience. 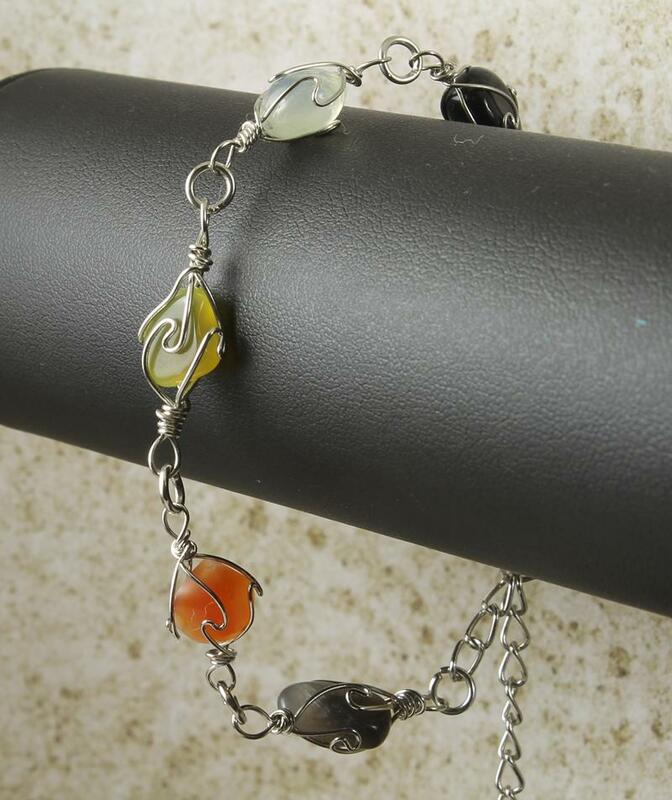 It will go wonderfully well with black, white, Autumn (Fall) tones, and denim, and will provide a stunning match to jewellery in similar flattering shades.